Two more gorgeous books by author and illustrator, Steve Jenkins. 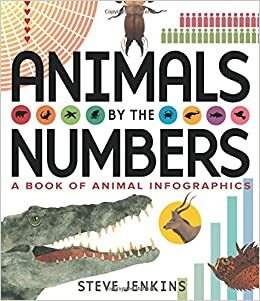 Discover fascinating facts about animals with great infographics. Steve Jenkins never disappoints with his beautiful paper collage images and captivating lay outs. And great facts. Did you know that in a 24 hour period, elephants sleep 3.5 hours while squirrels sleep 15? 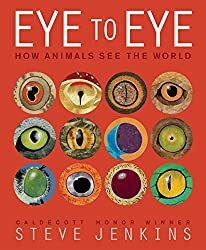 All about the eyes of animals!